DOCTOR WHO - An appreciation of William Hartnell | Warped Factor - Words in the Key of Geek. On what would've been William Hartnell's birthday (born January 8th 1908), Tom Pheby looks back at the actor and his time as the First Doctor. 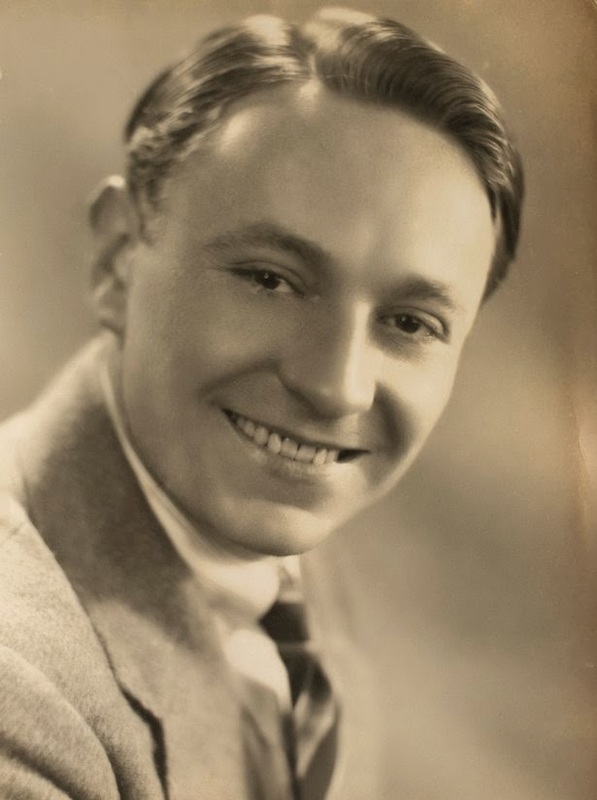 London born William Hartnell had an inauspicious start in life, he was born illegitimate and raised by a foster mother without ever knowing the identity of his father. He's childhood was challenging and full of difficulties, so you have to admire his strength of character and determination in the face of adversity. Despite the odds against him, Hartnell was to persevere and triumph with a career in acting which would change his life forever. In 1925, Hartnell joined the theatre as a stage hand and went on to appear in numerous Shakespearian productions, including Macbeth. He then embarked on a film career and it wasn't long before he became a household name playing a series of authoritative figures and heavies. In 1963 Verity Lambert approached him about the role of a time traveling alien 'Doctor Who'. Its fair to say that initially he was sceptical and unenthusiastic but Lambert wooed the Actor vigorously, and with a considerable degree of ego massaging, eventually the ageing actor signed on the dotted line. It must be said that despite Hartnell's ego being manipulated, the decision to accept of the role was a massive gamble for him at that stage in his career. It could have been a disaster but it proved to be lucrative, earning him in excess of three hundred pounds an episode, compared to the forty plus he could get as a jobbing actor. William Hartnell's Doctor continues to divide opinion. He's not as loved as the later versions, perhaps because his portrayal was that of a grumpy, semi senile eccentric with an acerbic tongue. He could be fascinatingly child-like but equally cold and distant. At times he was similar to a waspish sergeant major on the parade ground, and it's hard to separate the fact from fiction at this point. All the same the show and its star proved a winning combination and a huge success. No one was more surprised than Hartnell himself! Despite a reasonably respectable career in television and films Hartnell failed to receive the recognition he craved, but this never prevented him extolling his virtues to anyone inside, or outside, the industry. I guess, looking at the actors that have played the part since 1966, they had the good fortune of a developing media, better scripts and improved resources. They were allowed by generous directors to explore the role and develop the character. William Hartnell was a professional actor of his generation, his job was to learn the lines, hit the mark, deliver the lines and go home, and at the time Doctor Who arrived on our screens a re-take was a luxury that the British Broadcasting Company could hardly afford. I am personally fascinated by the actor more than his portrayal of the Doctor. He was regimental in his delivery and although I never truly warmed to the cantankerous old genius, he added a certain gravitas to a project that was undoubtedly a massive gamble for the BBC. The production values were less than zero, effects were minimal and the scenery was basic, but somehow Hartnell's Doctor transcended these trifling problems and that really is a testament to the actor. 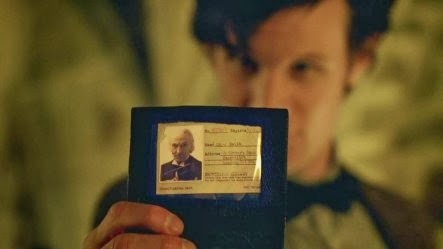 Against all odds William Hartnell made it all credible, and acted as if whatever he said in terms of the 'sciencey' bits should be accepted as gospel. Decked out in his flowing white wig he actually looked thousands of years old, and you could easily believe that he was sitting around on a asteroid being curmudgeonly when stars were being formed and God himself was learning how to set up the universe. The grueling schedule and need to be flawless had become a burden for Hartnell, and after only a year on the show he was clearly not a well man. It's been well documented how he had problems remembering his lines, and it was being said by many that he had become a problem on set. It wasn't long before those in charge were considering a necessary change to the lead role, a decision that would potentially result in the death of any other television series, but the idea of regeneration would certainly counteract that for Doctor Who. Hartnell unfortunately misjudged the situation. He believed he was the accepted face of Doctor Who and a series without him would be unthinkable. His major failure was in not understanding that his profession was changing drastically, it was becoming a cut throat business with no room for sentiment. Hartnell was an intensely loyal man but he would learn that this was not reciprocal. I find his Doctor intriguing. Hartnell established a credible, yet stiff and starchy character which made him extremely watchable but not particularly endearing. In reality Hartnell himself was as much of a contradiction, he was an actor that sought recognition but found fame difficult to enjoy. Does the Hartnell era stand the test of time? If we remove personal love for the show then we have to be honest and say no, it doesn't, not really. Unfortunately the disparities between the production of the first few years and any other era of the show are glaring. But for us Who fans those early 60s episodes do have a charm of their own, and we all owe Hartnell a great many thanks. The Troughton years were more memorable in my mind. The new Doctor presented a more affable time traveler that could be an undeniable genius one moment and joker the next, but there was also a hint of steel that was the trait of his predecessor. Other First Doctor characteristics would shine through in every subsequent actors portrayal of the Time Lord, possibly none more so than in Peter Capaldi today. William Hartnell was rumoured to have said that the show would run forever. He would be proud of his contribution to this much loved series and regardless of anyone's opinion he might be content in the knowledge that he was the original Doctor, the star of a hit show that became a global phenomenon.